Every year our children sit down to make their Christmas list. 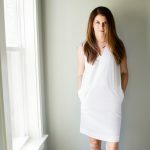 Sometimes it is filled with the hottest new toys, but in the back of your mind you know that the majority of the things they ask for will end up in the back of their closets. This holiday season, why not get them a gift that is not only fun also provides a learning opportunity as well? 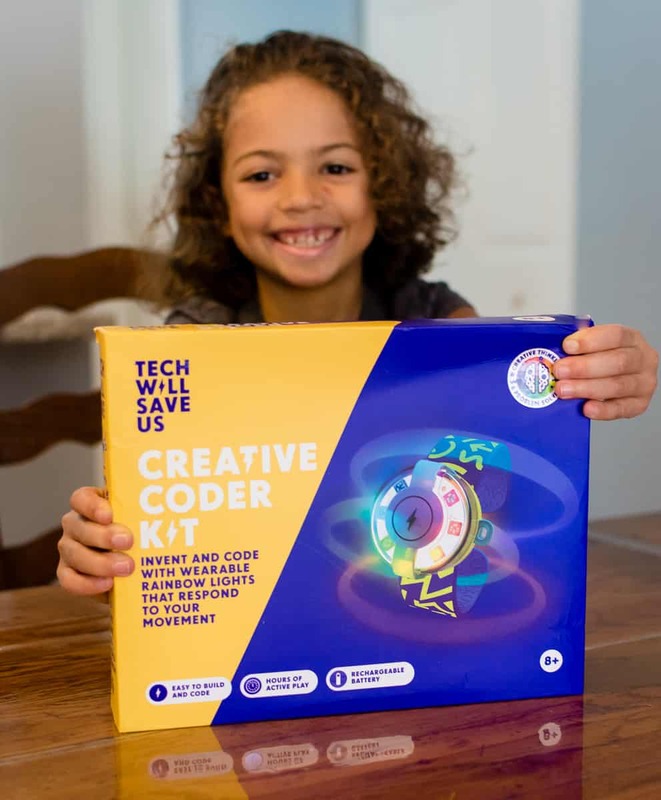 The toys listed here on this year's STEM/STEAM gifts are educational gifts for kids that will not only give them hours of fun but teach them valuable skills in science, technology, engineering, arts, and math. 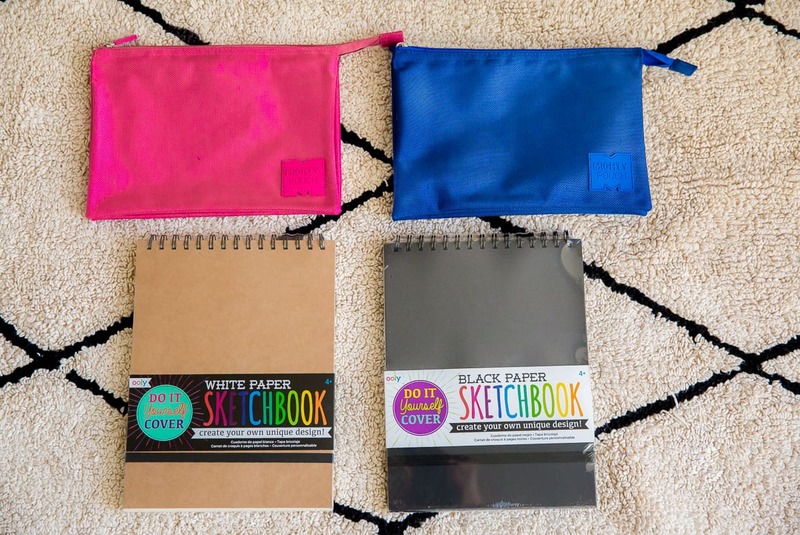 Are you looking for a gift that is sure to be a hit? 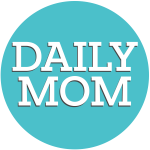 There are certain gifts that you can just never go wrong with and here at Daily Mom we are certain that art supplies are one of them! 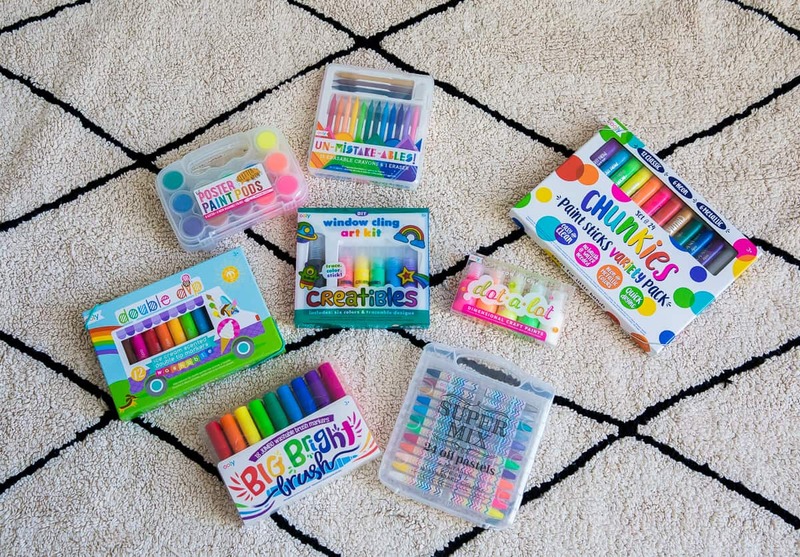 Our top pick for art supplies is always OOLY! 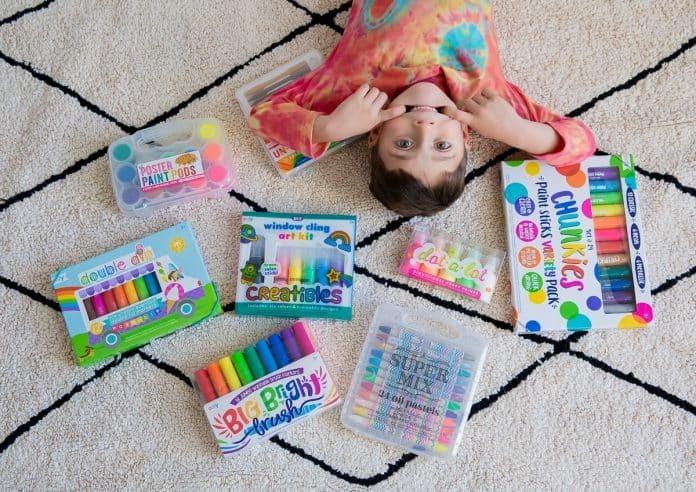 OOLY puts color, creativity, and fun into their entire collection. 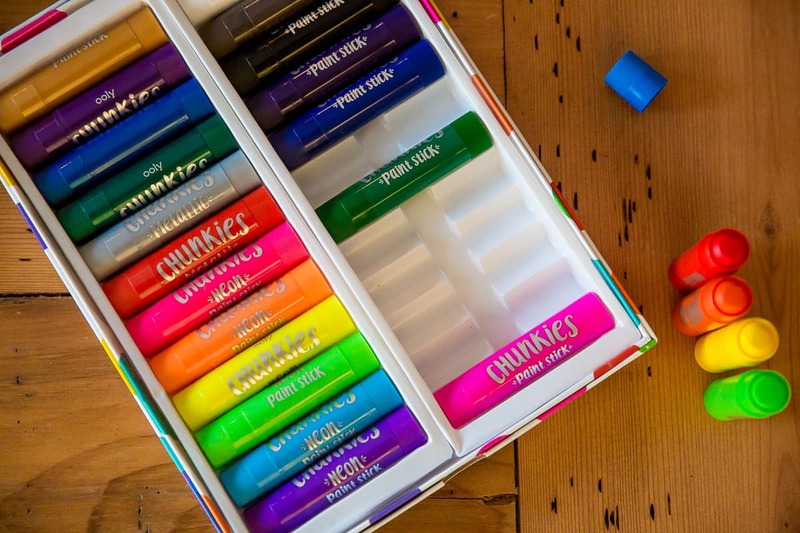 You will be addicted to OOLY's collection of art supplies from the minute you see their gorgeous packaging and beautiful colors. 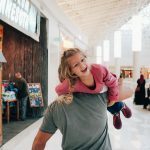 They love creating products that help people of all ages not only smile but also explore their imaginations and find new ways to express themselves. You can find the perfect gift for a three year old or a ten year old, a boy or a girl. Everything about their collection screams fun and exciting. 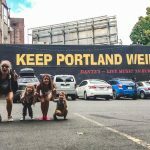 Curious about a few of our favorites this year? We're glad you asked. 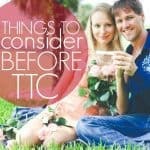 There are just so many to choose from but we wanted to share our top picks. 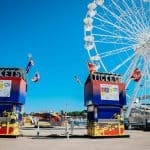 If you are looking to fill someones life with fun, colorful and happy. 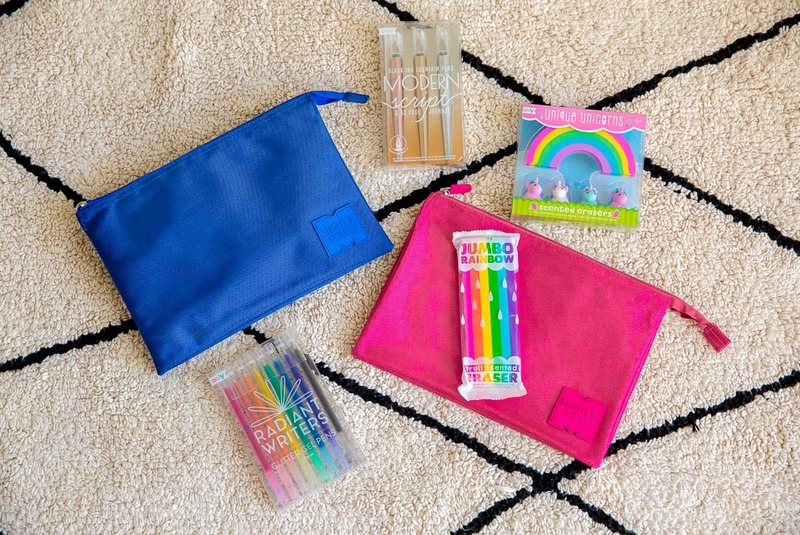 OOLY has been creating all kinds of products that are packed full of excitement for kids (and adults) of all ages! In our technological day, kids need to be exposed to the ‘behind-the-scenes’ workings of their gadgets? Don't you remember as a kid looking on in wonder when you saw the inside of a working engine or even the cool motherboards of the clear telephones? 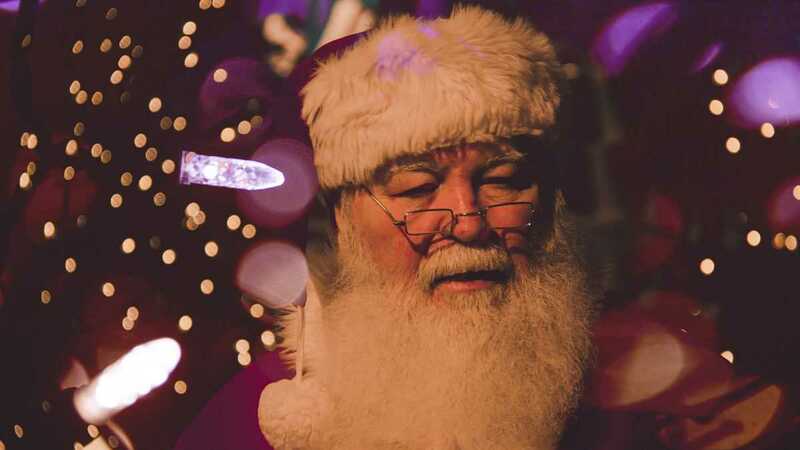 Now, you get to give the gift of knowledge (and their parents will thank you!) 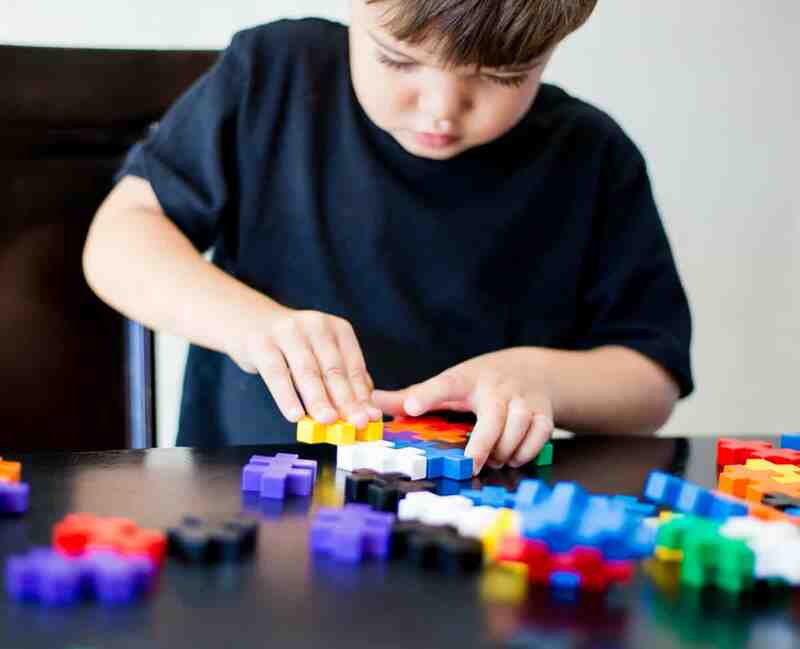 through STEM-based, parent-approved toys. 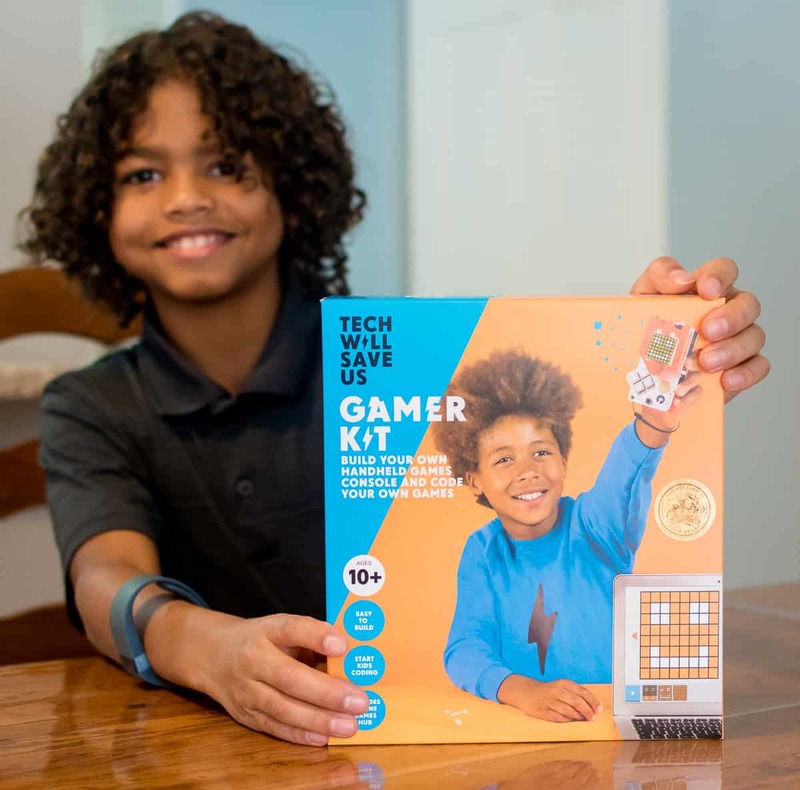 Whether you have a future coder or an engineer, Tech Will Save Us brings it all to your door this season. They've thought of everything! 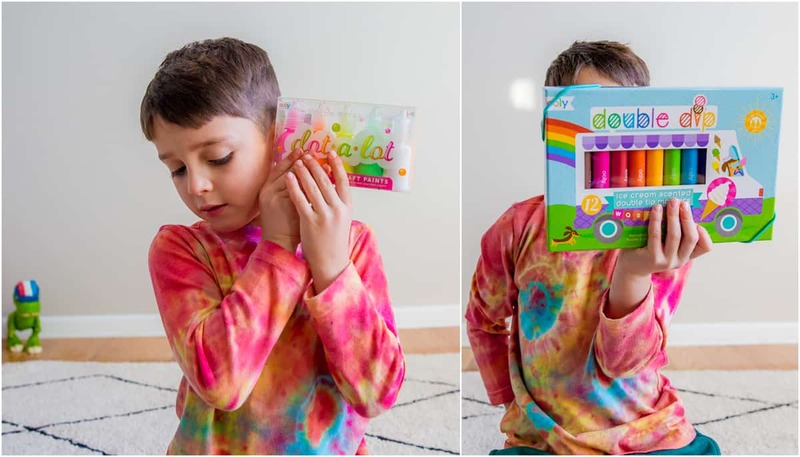 Take a look at their Electro Dough Plus kit. It. Uses. Dough! We don't think you'll have to twist the kid's arm to get them to want to experiment with this one. 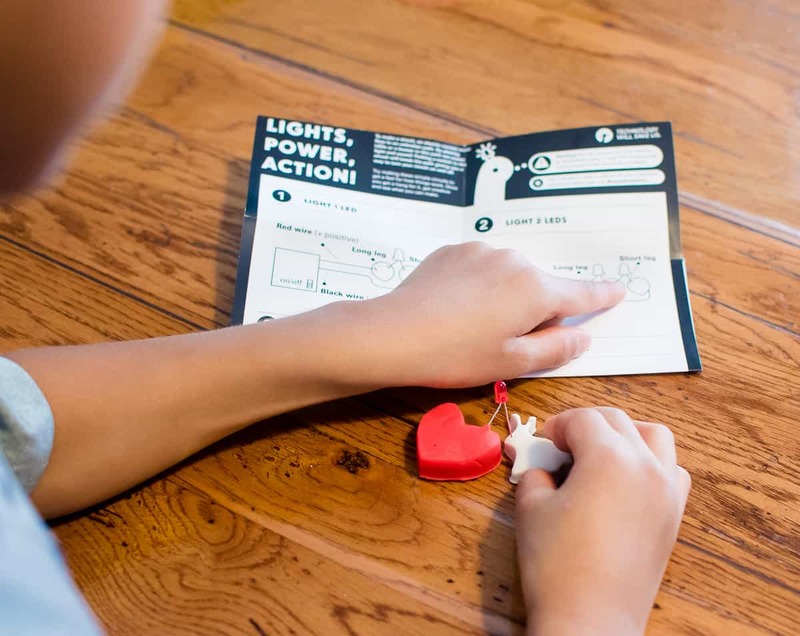 They'll explore fun shapes and experience how conductive dough works with simple circuits that light up. Now it's time to code...and they get to wear their coding skill too! 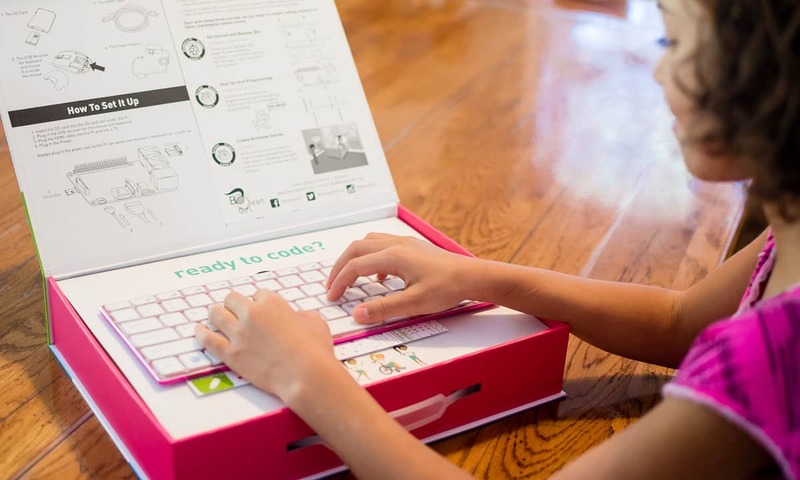 The Coder Kit features block-based coding for young ones first exposed to the world of code. Instead of sitting for hours staring at a screen to learn to code, they learn to program on a wearable device (like a watch) that is stimulated by their movement. 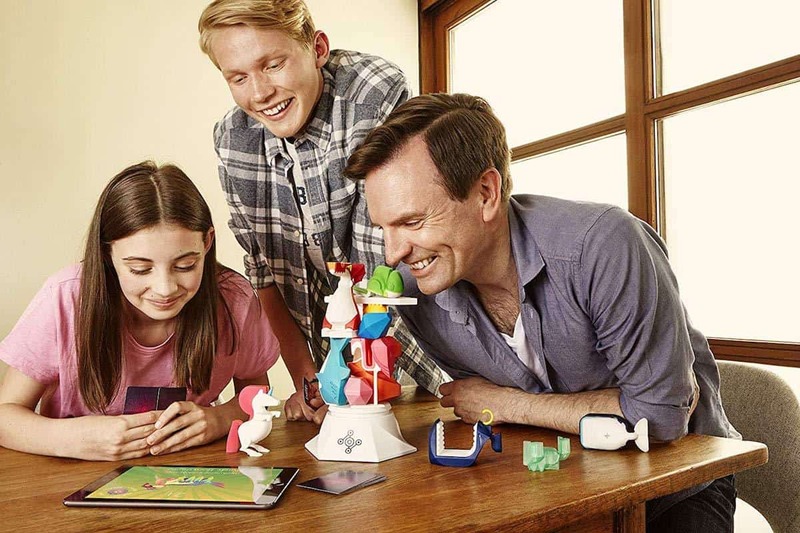 Need your kid off the couch… let them learn to code! 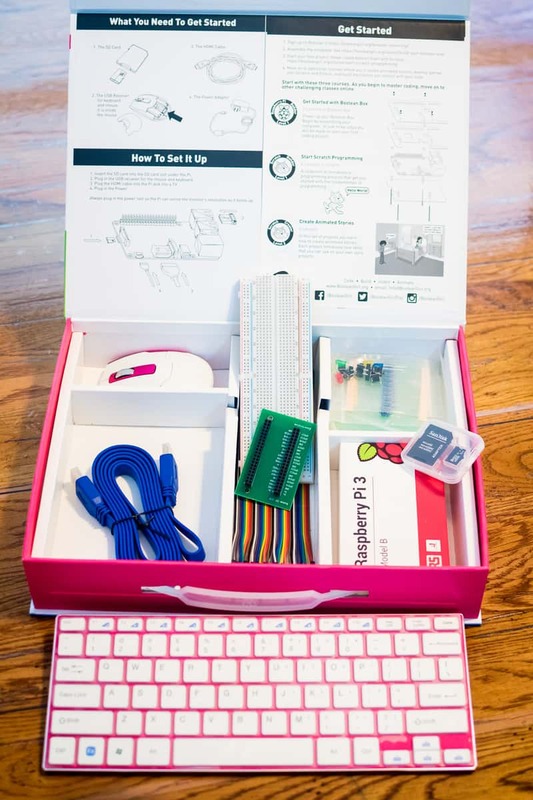 For those of you who have a gamer in your household, that's when you grab the STEM-based Gamer Kit. They'll build their own game console, code, and play their own games. The online coding platform starts them out with 15 retro games to start off. This foundation into coding will enable them to start to code games that they invent! I bet you can't wait for the awesomeness they'll show off! 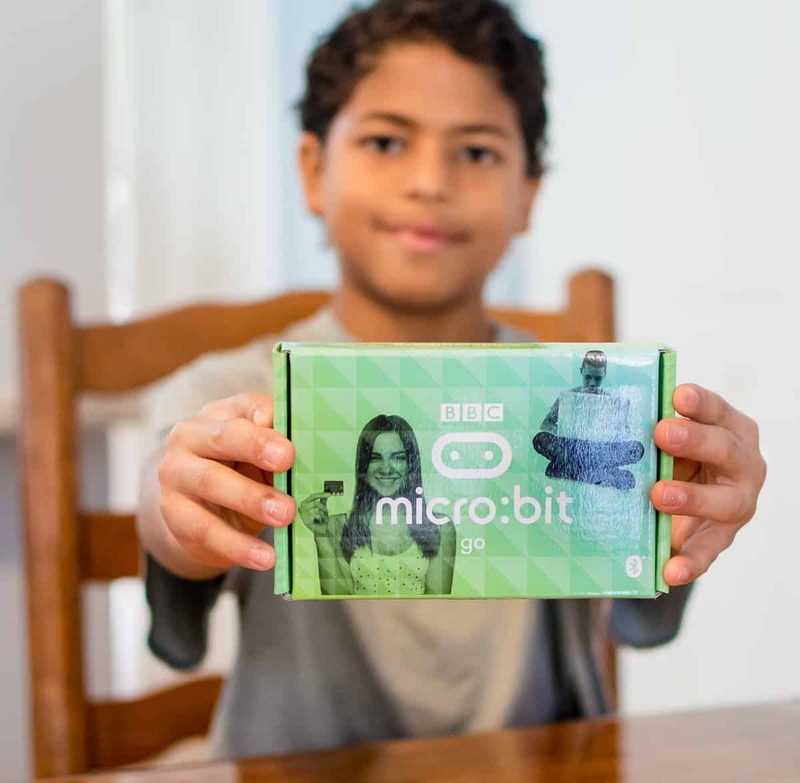 For the older kids, start them off with a Micro Bit. 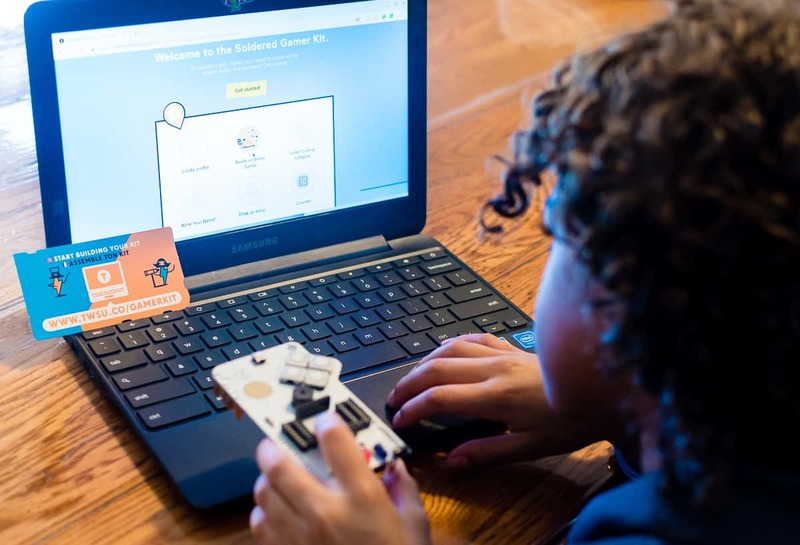 Geared towards kids 11 and older, this nifty little gadget gets them hands-on with the actual coding hardware while exposing them to life skills like creative problem-solving. It's still entry-level coding, so don't worry that it will be too much. By using their creativity and invention ideas, it's the perfect step into our world of understanding and applying technology. 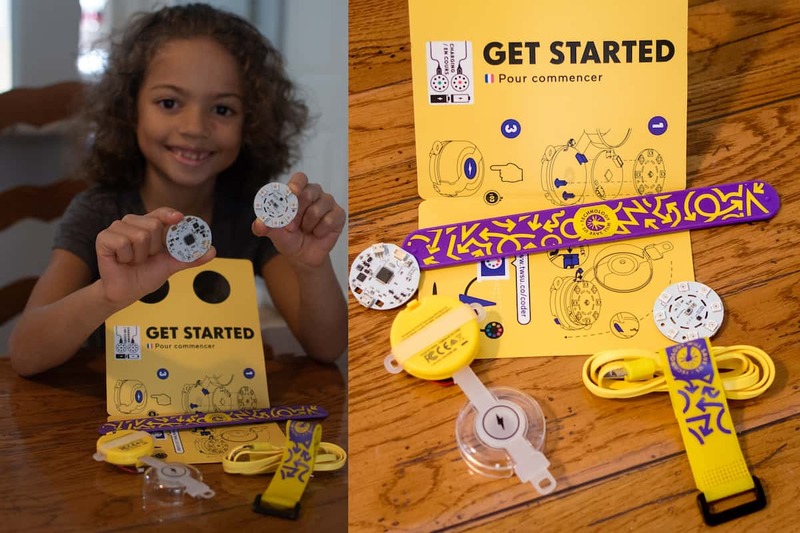 Combine the Micro Bit and Micro Bot and you've got the perfect makings of a robot. Got a robot enthusiast? This is the STEM toy for them. It operates with the Micro Bit to program and create a robot! Again, this targets problem-solving skills with their own creativity. 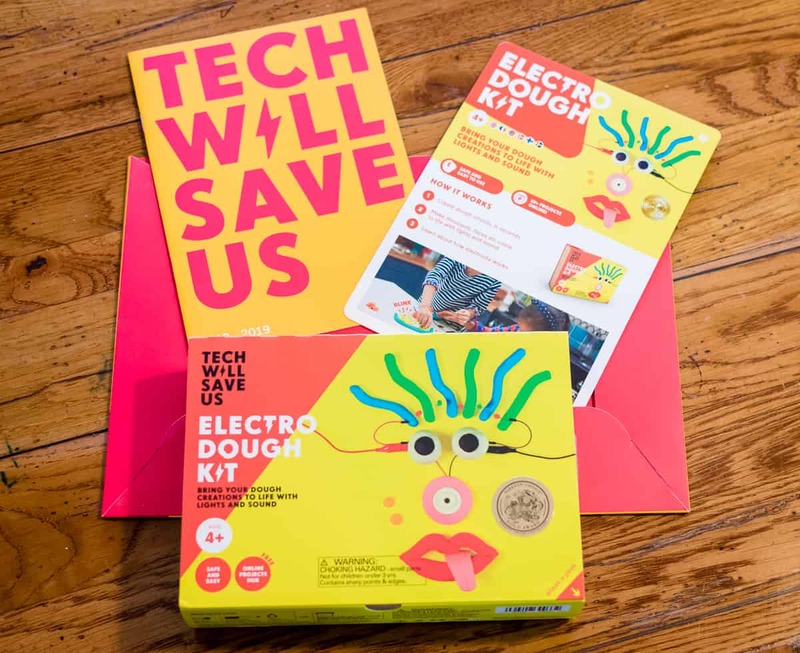 Tech Will Save Us has come up with some pretty innovative ways to engage kids to learn and be excited about tech. We appreciate that and so will your lucky kid! Does your little one love collecting bugs, beatles, butterflies, and every flower or acorn he passes? Is he or she a scientist, chemist, biologist, or entomologist in the making? If so, Thames & Kosmos is your one-stop shop for all things STEM this holiday season. 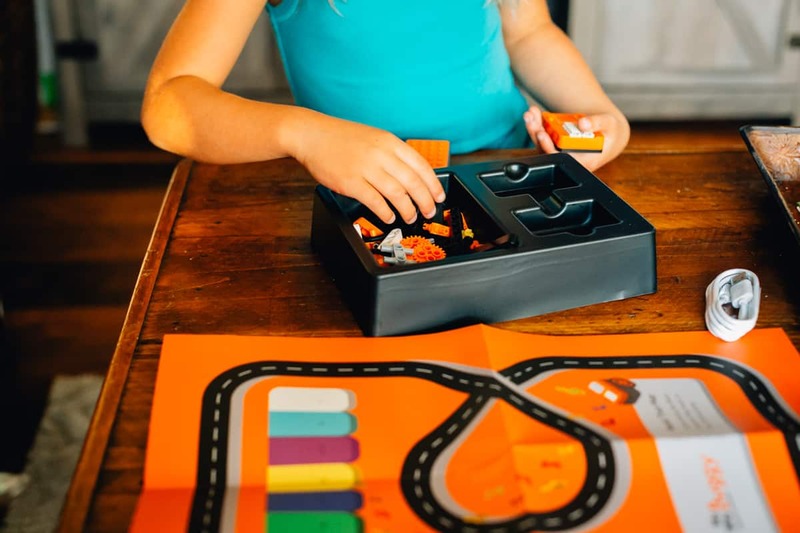 From your youngest explorer to your oldest budding physicist, they have the perfect engaging, interactive, educational gifts for every child. 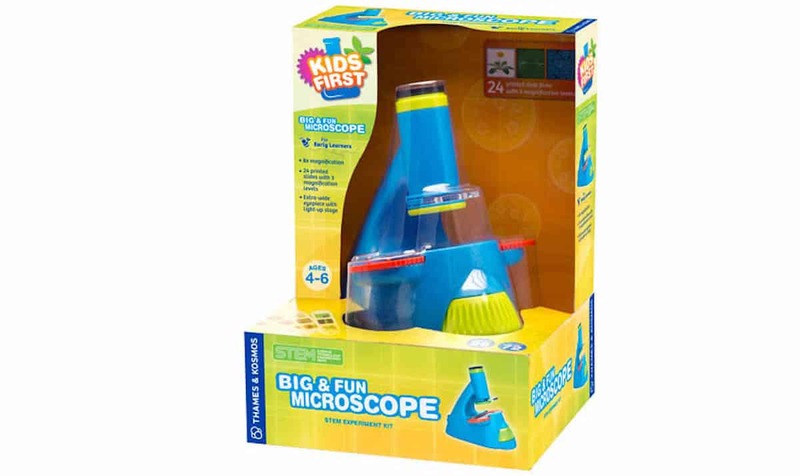 For your budding pre-school or elementary age scientist the Kids First Big and Fun Microscope is the perfect present this holiday season. Let your little one explore the intricacies of the amazing world around us with this beginner microscope in just their size. Peer through the extra wide eye piece with 8x magnification for a close up look at everything from a bees knees to the veins in a leaf for a truly close up, scientific view. 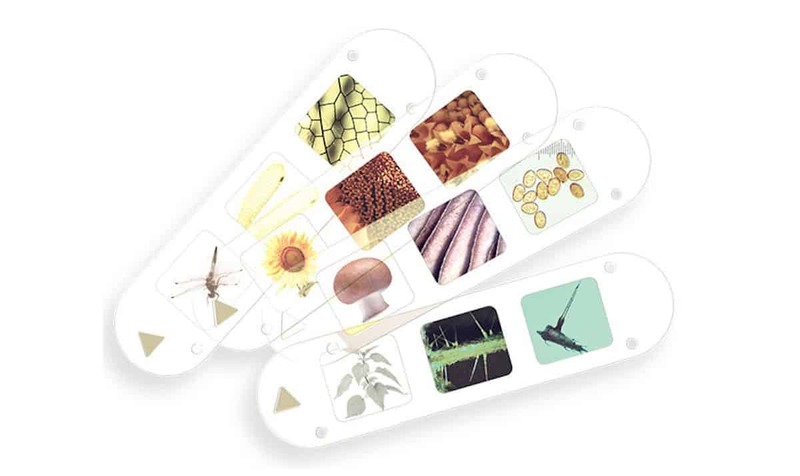 With a battery powered, light up viewing stage, 72 slide images, plus a blank for slide for their own discoveries, your child will spend hours examining biological specimens. 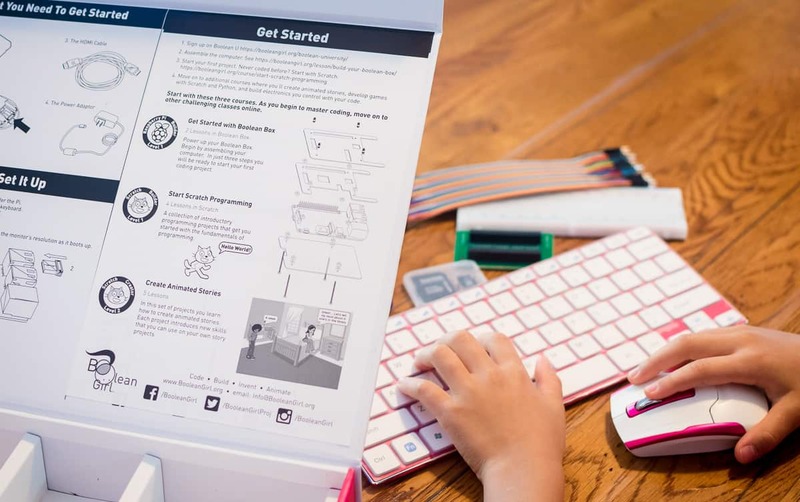 Along with the microscope comes a manual which not only explains the workings of a microscope to your child, but also includes scientific explanations of the specimens on the slides. This will be an incredible learning experience for any child who questions the great (scientific) wonders of the world. 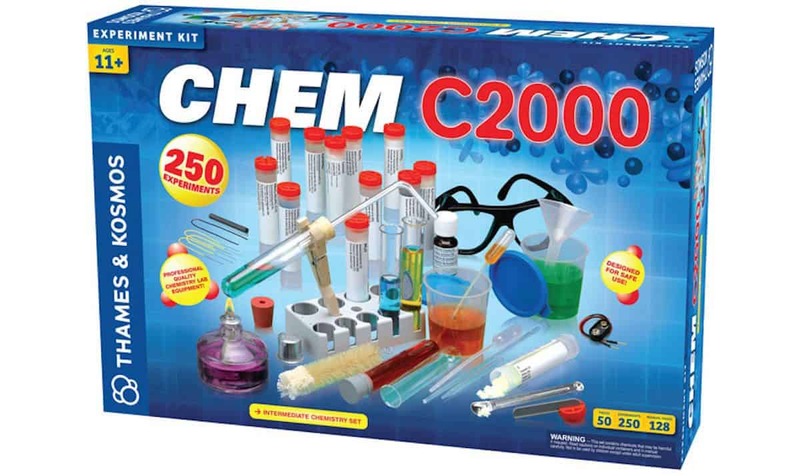 For your older, up and coming 'mad scientist', gift the Chem C2000 Experiment Kit from Thames & Kosmos for an exploration into the world of chemistry. Forget waiting until high school to begin learning the properties of matter and the periodic table, let your little chemist learn to love the exciting world of mixtures and potions early on. 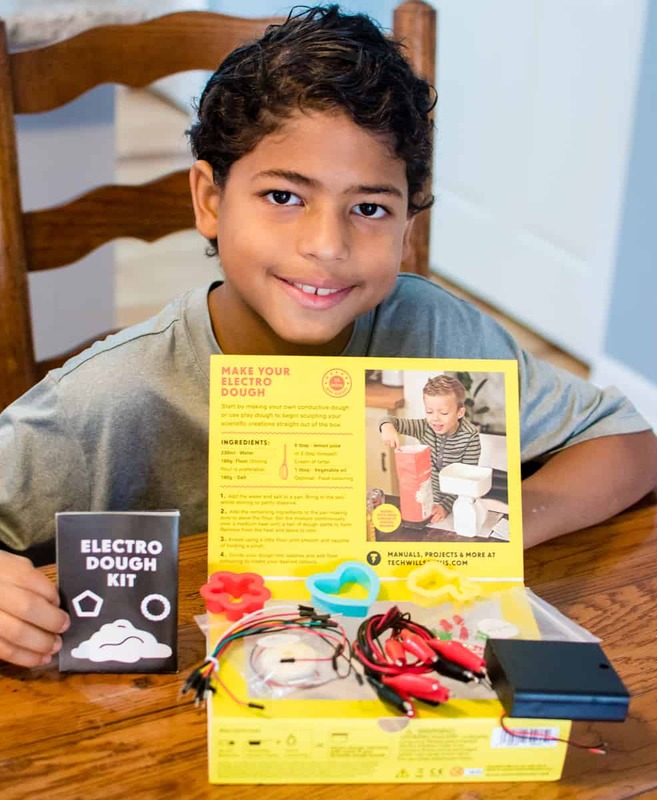 This STEM based science kit will keep your older elementary or middle school aged child engaged and entertained for hours. 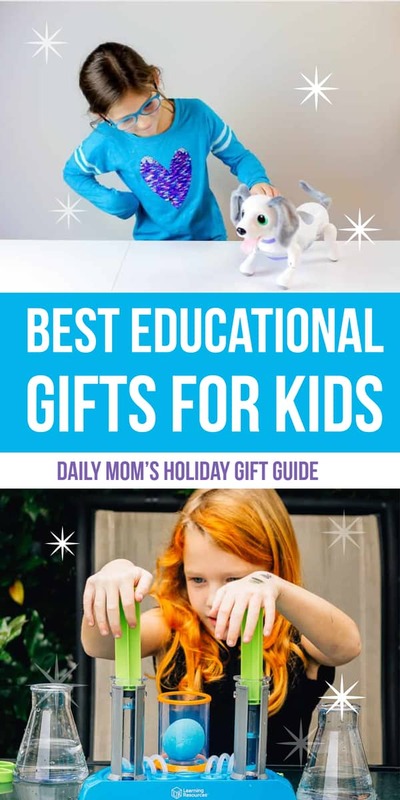 All parents love gifts that are both fun and educational for their children and this set definitely fits the bill this holiday season. 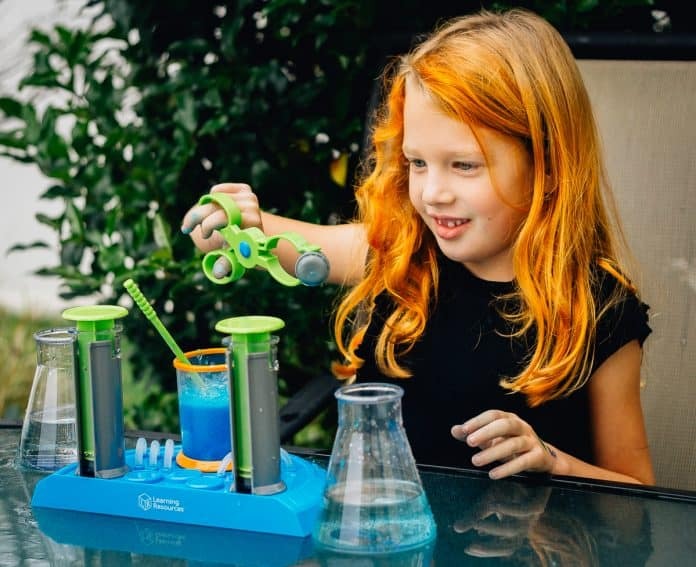 Perfect for introducing your older child to concepts of science, chemistry, and STEM learning activities, the Chem C2000 Experiment Kit will show him or her the remarkable reactions behind ordinary happenings. Learning the intricacies of how things work has never been more fun! 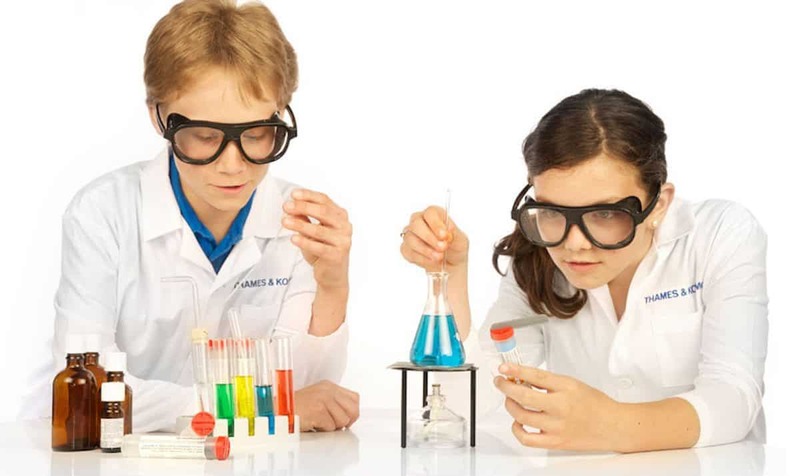 Allow your older child to experiment with filtering and separating mixtures, combustion, and electrochemical reactions. Explore the real components of and chemical reactions behind the scenes of everyday things such as soaps, household cleaners, and food. 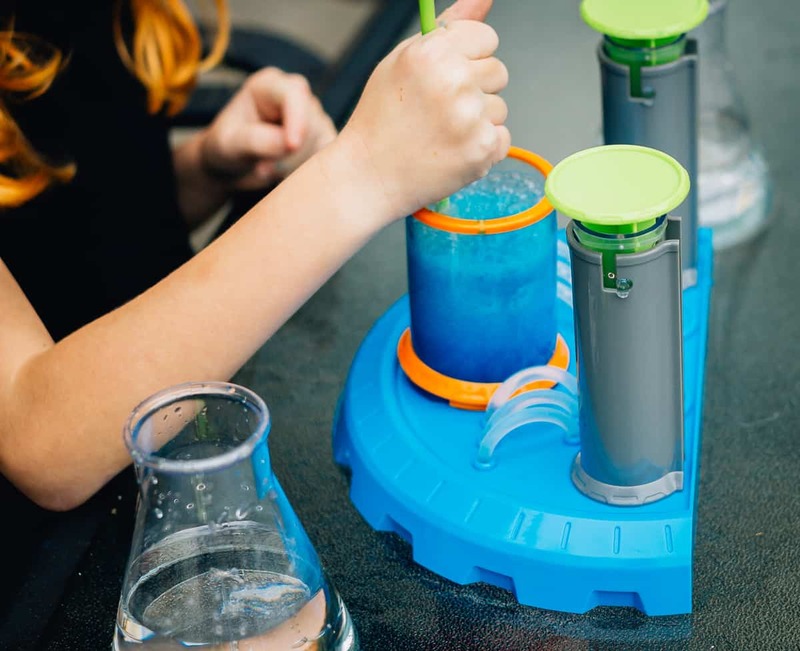 Whether your child decides to explore their inner chemist alone or you all chose to do so as a fun family activity on a cold, winter afternoon, this set is perfect for individual or family fun and entertainment. Make sure to discuss and explore the endless possibilities available with the Chem C2000 Experiment Kit this holiday season. A kid-sized table and chair set is a must-have for any playroom. 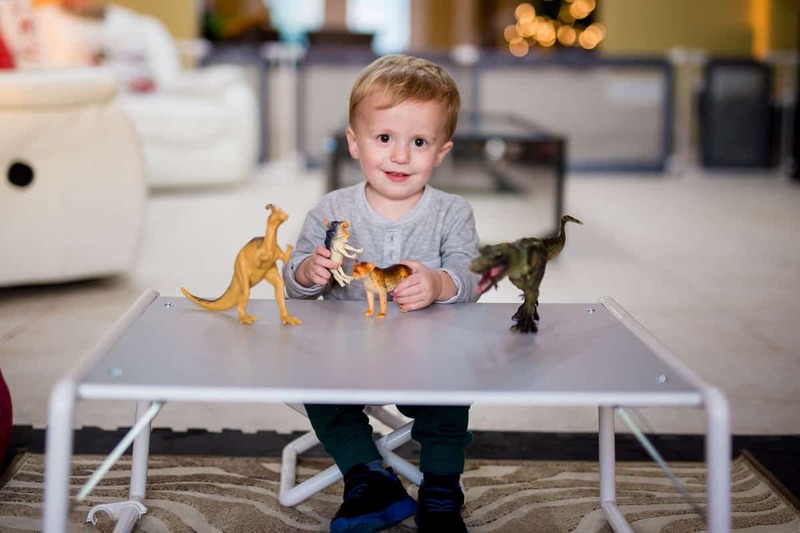 Elevate your little one's space this holiday with the Gofer Table and Junior Director Chairs. 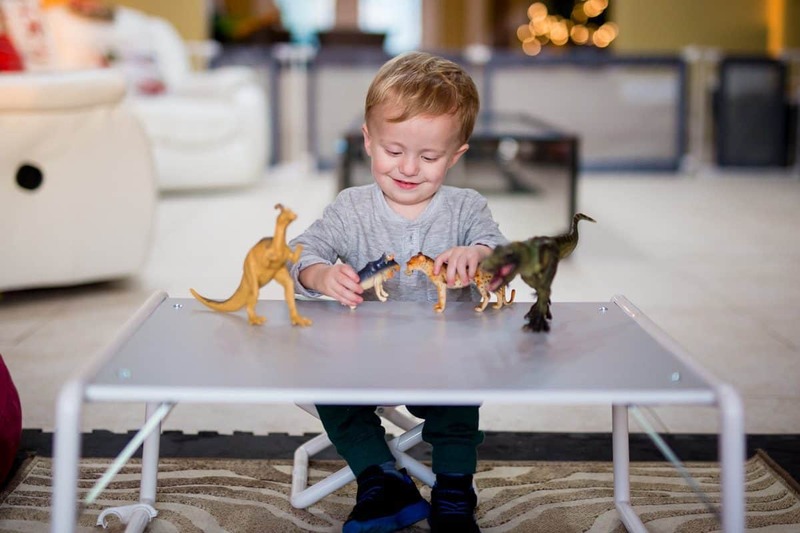 The Gofer Table is an ideal space for little ones to get get artsy, have a snack, or play with blocks. The Golfer Table is sturdy and easy to clean. 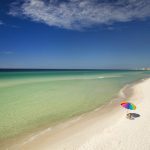 It is also easy to pack up and move, making it perfect for a picnic, beach, or other outdoor adventure. The table folds flat so it can also be moved to storage and doesn't take up necessary space. 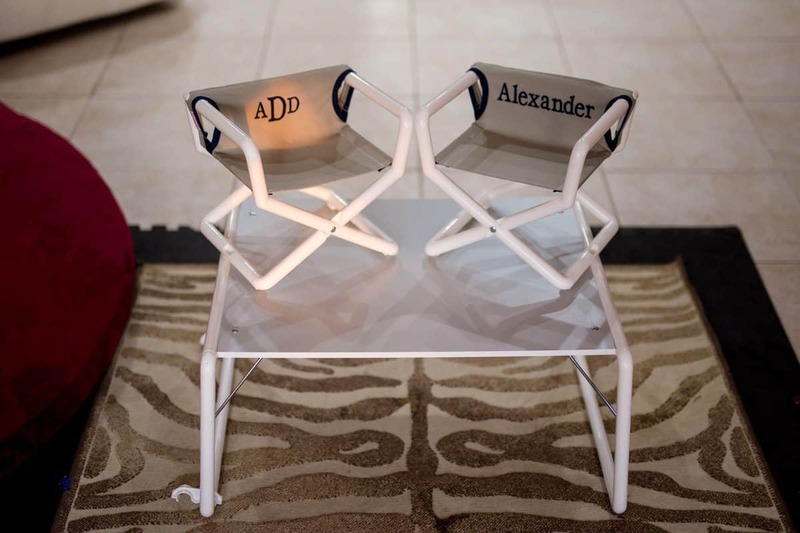 Pair The Gofer Table with customized Junior Director Chairs (as pictured). 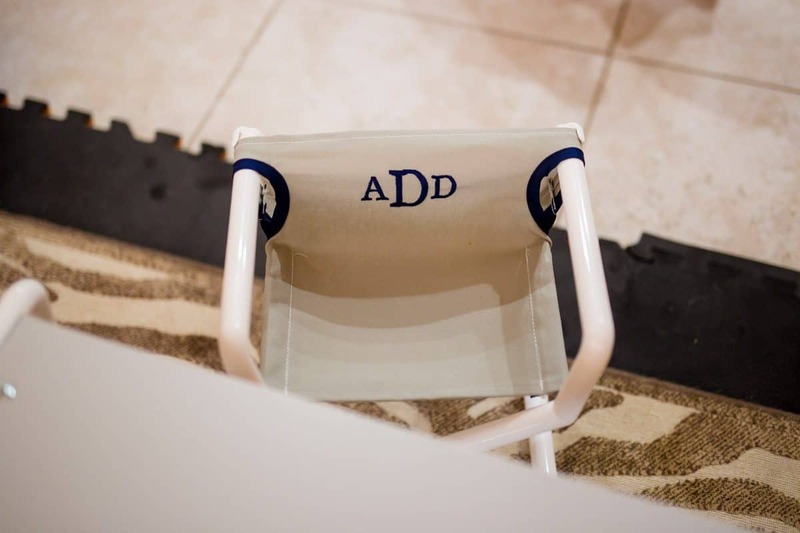 The Junior Director Chairs fold easily, making it possible for your little one to carry his or own chair around (because we all know the toddler years are all about exploring their newfound independence!). 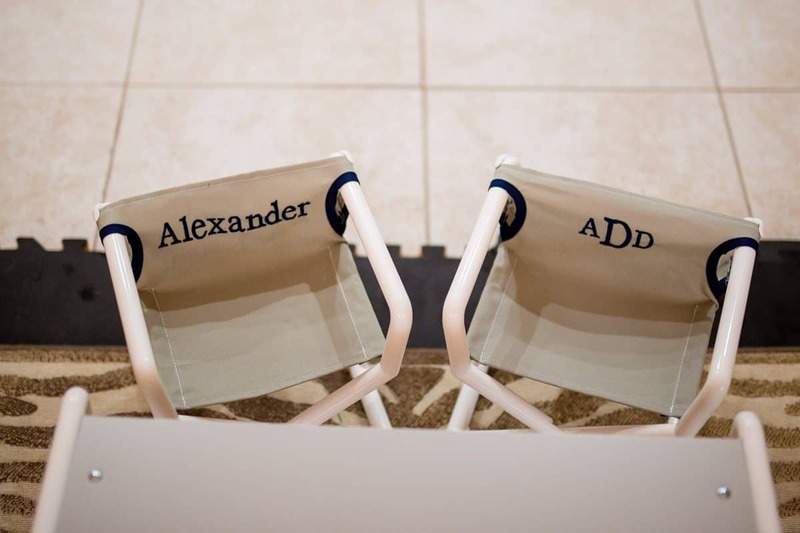 Customize the chairs with your child's name or initials for a one-of-a-kind gift your little one will love. For variety, Hoohobbers also offers a Personalized Children's Rocking Chair to pair with The Golfer Table. 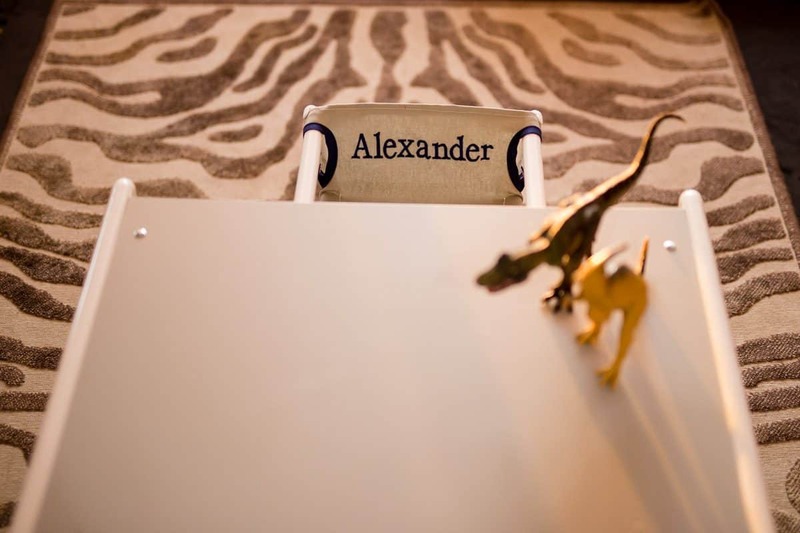 Your little one will love his or her little own space to explore and be creative made possible by The Golfer Table and Junior Director Chairs. 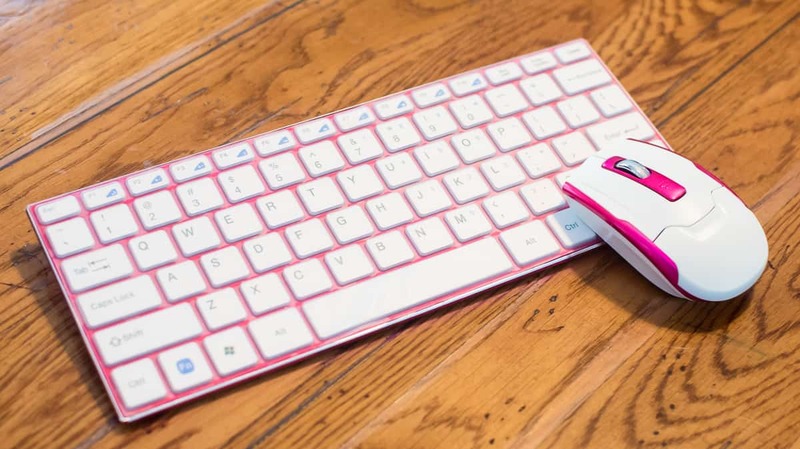 Need to get your sweet girl a computer this Christmas? Sure, you could grab a ready-made computer or you could simply let her build one. The Boolean Box is a completely engineered, self-contained kit that teaches coding, fundamental electronics, and so much more. Your lucky child will flip knowing they get a build-it-yourself computer. 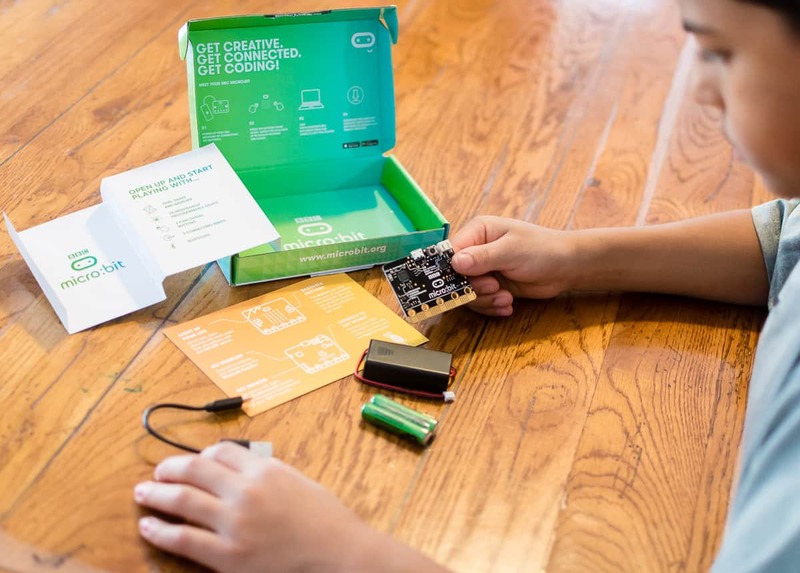 Designed for kids 8 years and older, with this kit, they can completely build their own computer all by themselves. You'll get to experience their amazement knowing they did it all by themselves. 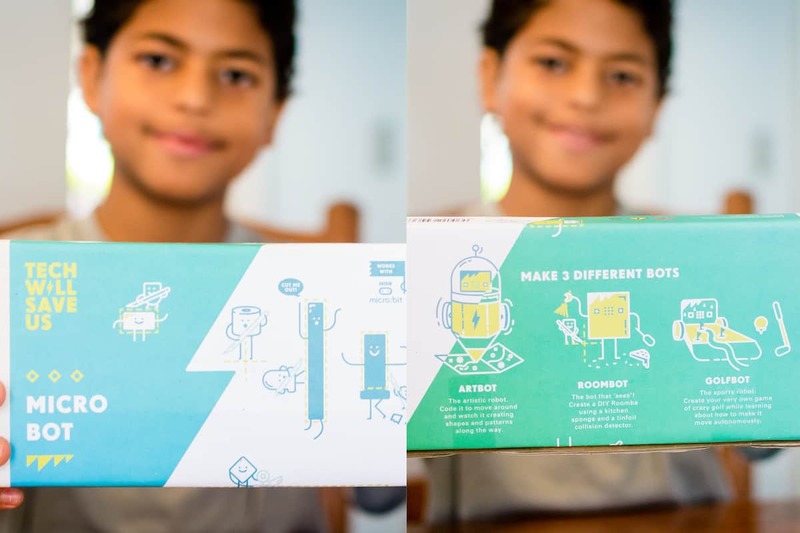 Even though Boolean Girl is geared towards teaching young ladies about engineering, your boys can certainly partake in the fun too. Once the computer is up and running, the kids will enjoy enrolling in Boolean University. 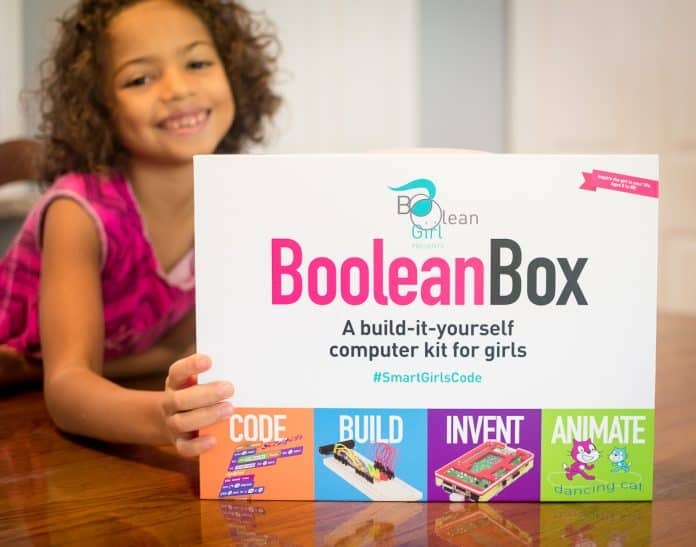 Here, they'll learn the basics while working at their own pace to embark on an engineering quest to build hundreds of different projects within the Boolean Girl website. If your child loves to build, construct and explore the world around them encourage your little architect or engineer to work and develop those skills this Christmas with Beasts of Balance. This fun and exciting game for the whole family will keep everyone holding their breath and on their toes as they work to build a standing structure of 'beasts' without letting it topple over. Delve into the world of balance, mechanics, weights and stacking as you build precarious towers out of creatures and beasts. 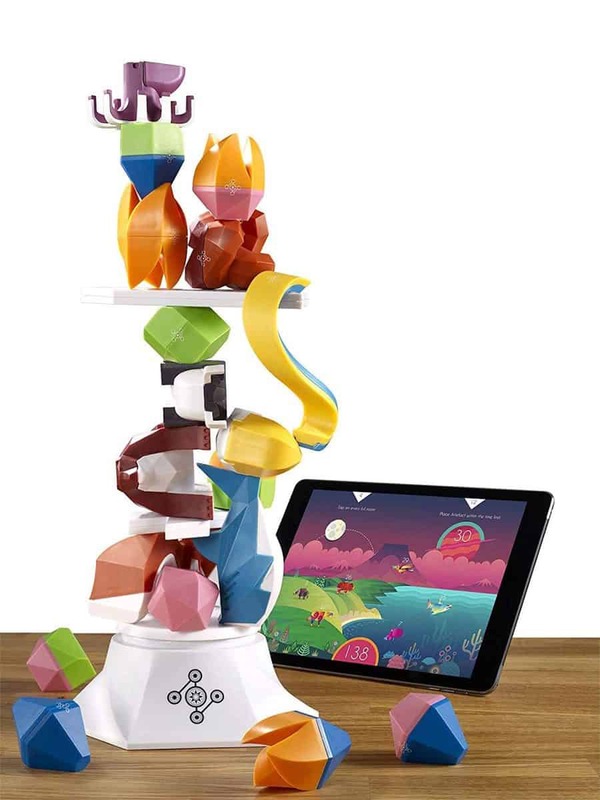 In this hybrid tabletop game using both the digital app and the physical play pieces, don’t let your tower topple or your world will explode right before your very eyes. Create hybrids, nurture, enhance and feed your beasts, migrate to new habitats and more, all while practicing your balancing skills and abilities. This fun filled family game will become a favorite for both parents and kids alike this holiday season. So give the gift of togetherness and family fun this Christmas where the digital and physical worlds collide with Beasts of Balance. Using voice recognition technology, Zoomer responds to both touch and sound. He even offers a cute bark, fabulous tricks, stationary commands, and more! 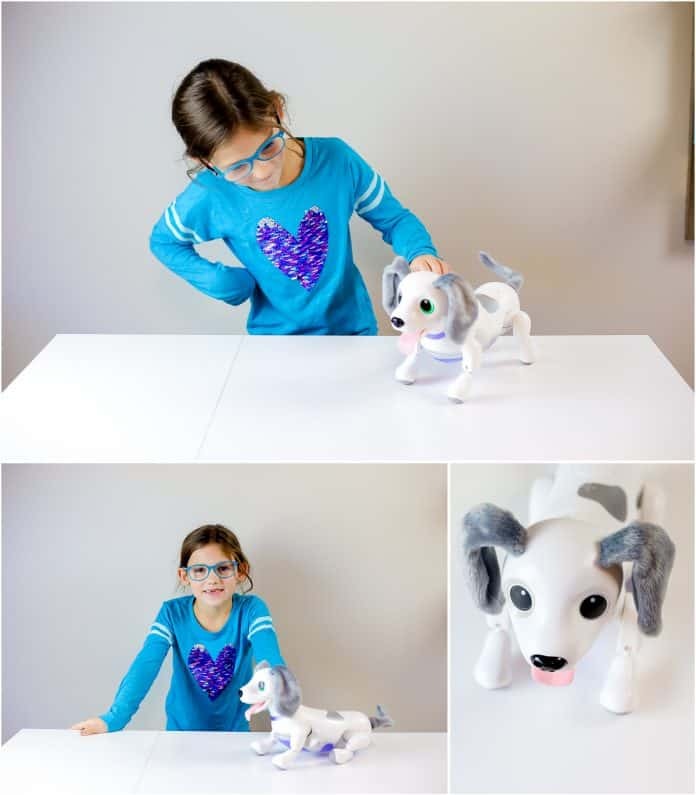 His soft ears and tail, life-like rubbery tongue, and interactions will have kids believing they have a real live canine in their home. Rub his belly and hear "I Ruv Roo!" Playful Pup tricks include interactive dog walks, shaking, taking a bow, rolling over, and playing dead. He will even "go potty" like a real pup, but don't worry mom, there is no clean up after this one! 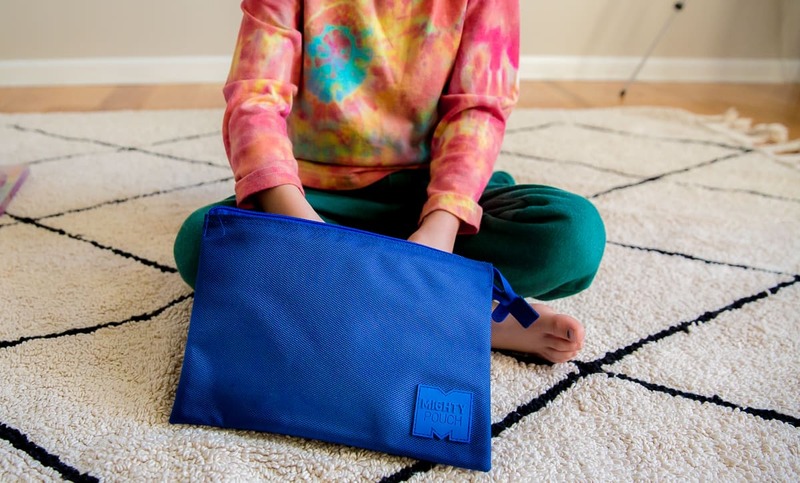 Looking for a gift that will get your child off the couch, away from a screen and potentially learning over winter break? 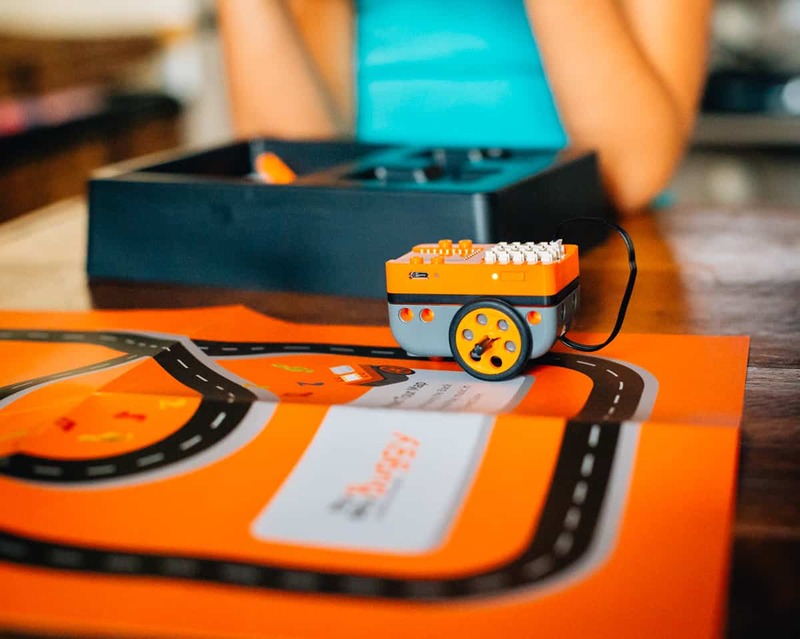 We've found a few educational games that are sure to excite and keep the kids busy this year. 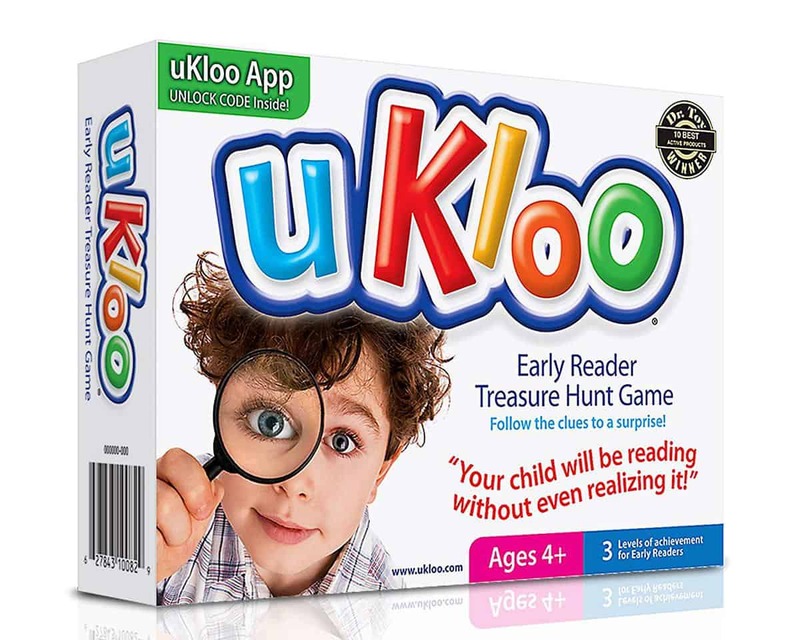 Disguised as a treasure hunt, uKloo Early Reader Treasure Hunt Game is a multi-award-winning children's literacy game that gets kids physically active as they read clues and search to find a hidden surprise. 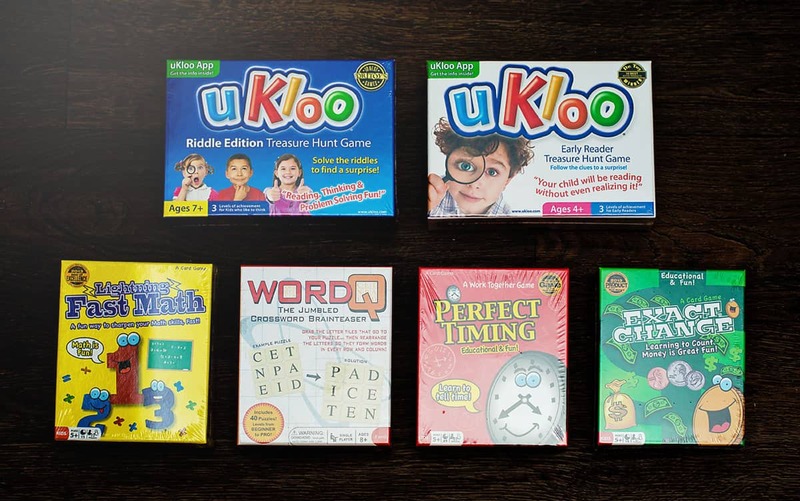 Open the uKloo box and discover 54 clue cards, a Picture Helper reference poster, 12 blank Surprise cards and 12 blank Write Your Own Clue cards. The edu-tainment game has been proven effective for early readers, reluctant readers, ADHD, ADD, and children on the Autism Spectrum. 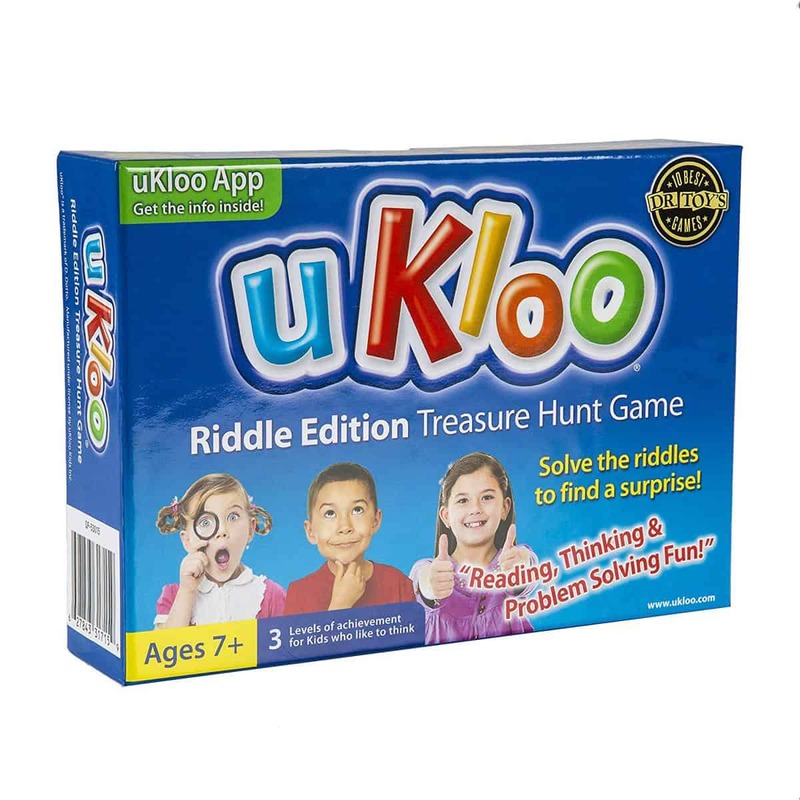 For more advanced readers, try uKloo's Riddle Edition. This thinking game is the next-step for youngsters to reach even higher reading levels. Parents lay riddle cards around the house to create a trail leading to a surprise. An enclosed hints booklet can be accessed if the child gets stuck. If the child is really stuck and needs the answer they must reflect upon it – in a mirror! 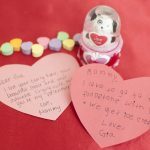 Parents decide how many cards to use, which cards to use and leave out, and what type of surprise will best motivate the child. After all, who knows their kids best? Game includes 75 riddle cards, a Hints Helper booklet, a Secret Answers list, Write your Own Riddle cards pad, Surprise cards pad and tips to write your own riddles. 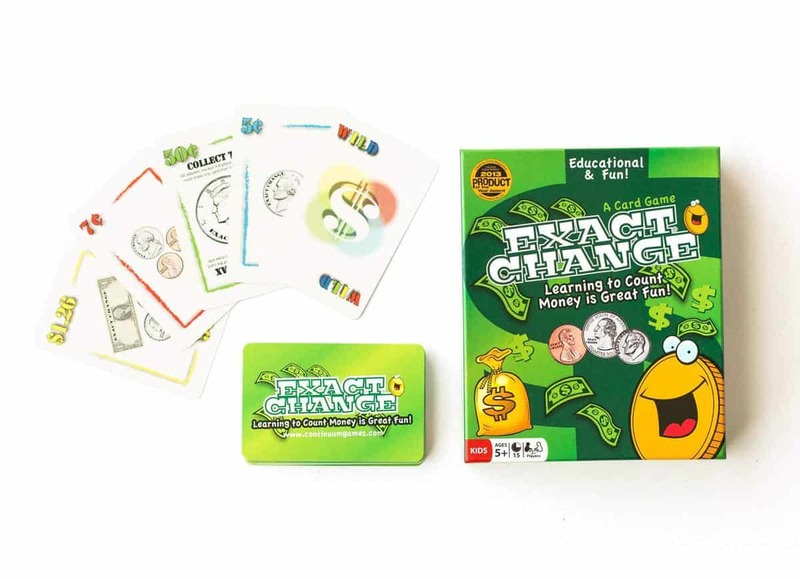 If your child is learning to count money, then have a little fun with it in this all new Exact Change card game. The goal is to play all of your cards first. You can discard cards by matching the color of the last card played, by matching the currency value (play a penny on a penny), or by making EXACT CHANGE. Making exact change allows you to discard multiple cards that add up to the value of the last card played. If the last card played shows a quarter, you can make exact change by playing two dimes and a nickel…allowing you to discard three cards in one play! How about learning to tell time? 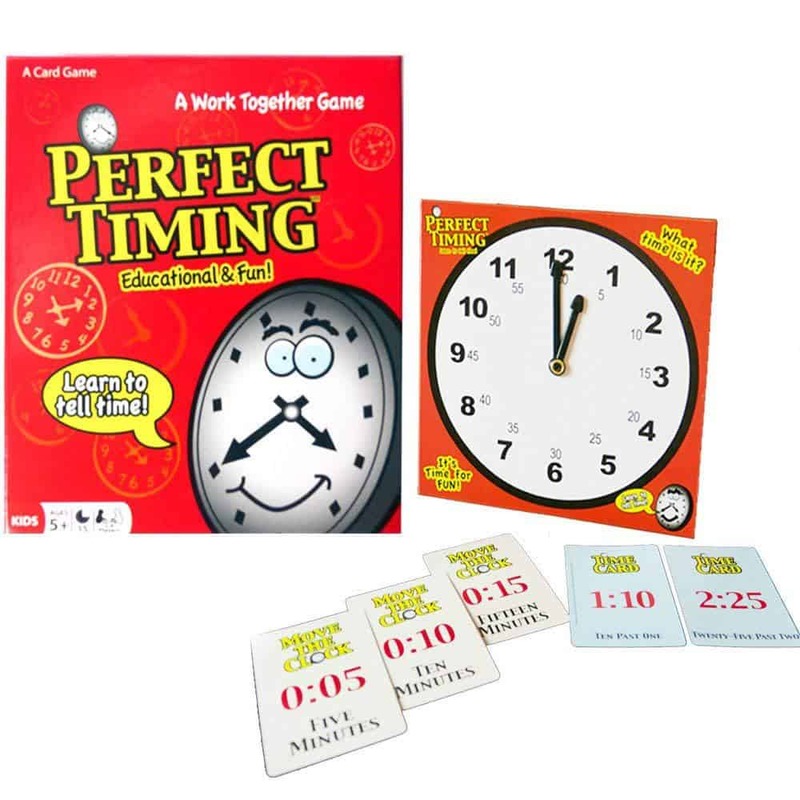 Kids won’t need to ask what time it is after playing this fast paced, cooperative game called Perfect Timing. They set their game clock to the right place in time. Players work together to move the hands of the clock and get it to read the time on the 12 clock cards. If the time is passed on a clock card, that clock busts! Match the clocks without busting three times and everybody wins! The whole family or an afterschool playdate will enjoy solving this challenge. 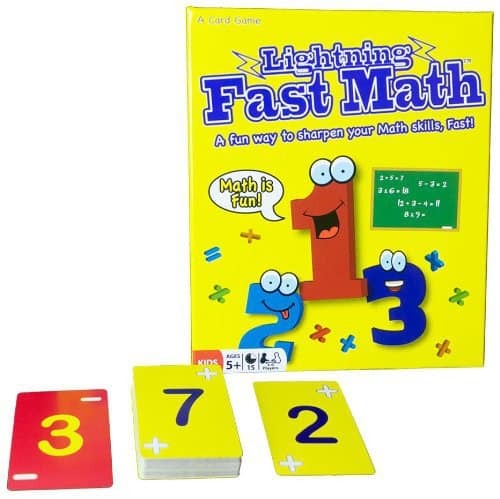 For kids who are working towards fluency in math, try Lightning Fast Math! Without counting on their fingers, kids solve simple arithmetic equations in their head while playing cards. Players flip over a card from the draw pile; keeping the card they flipped face up in front of them. All cards have a number, color and math symbol. When two players have a card with a matching color and math symbol, they go head to head to see who can solve the problem first. For example: if two players have blue cards with plus symbols, the first player to add the numbers on the cards and call out the answer wins the other player's card. The player with the most cards at the end of the game wins. Finally, everyone in the house will want to try this jumbled crossword brainteaser. 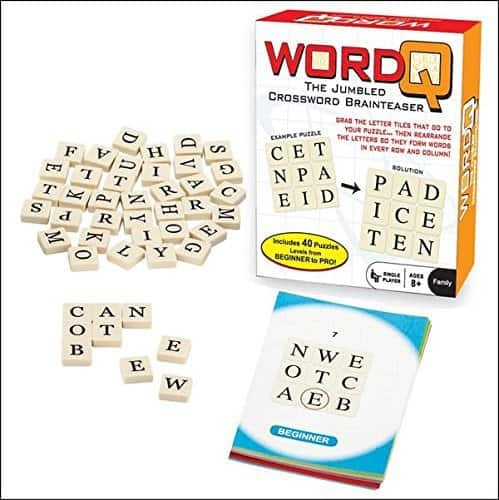 Part word game, part crossword puzzle, WordQ is actually 40 great puzzles in one box. Great for solo play or while traveling to Grandma’s house for the holidays. This is the ideal stocking stuffer for the crossword lover! Various levels allow for challenging gameplay! 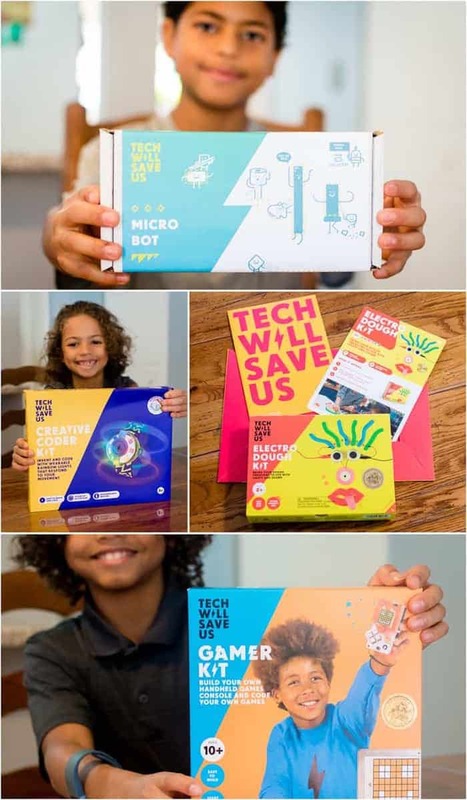 If you have a child in your life that just loves STEAM activities, then a gift from Microduino is exactly what you need. 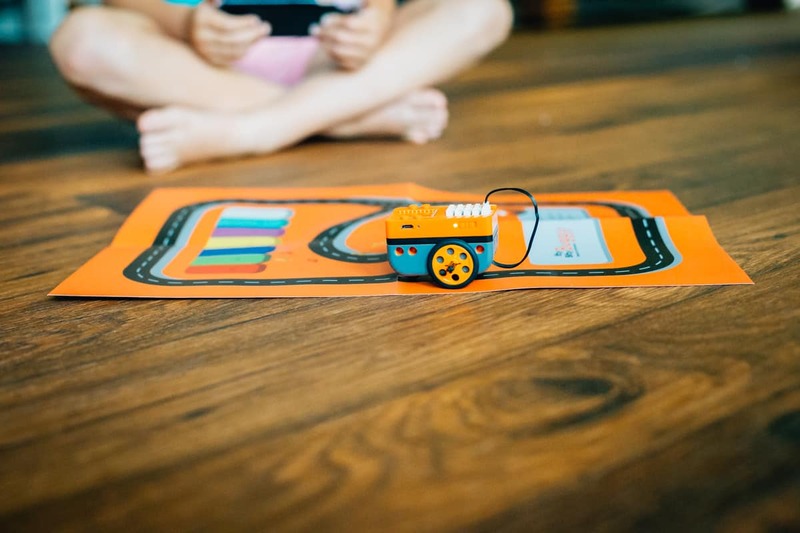 Microduino's newest toy, Itty Bitty Buggy, is perfect for kids who love to build and create their own things that go. With Itty Bitty Buggy, your child has the ability to create up to 5 buggy animals including a sloth, a ladybug, a dodo bird, and an alien. Each creature is capable of different tasks using coding and programing. 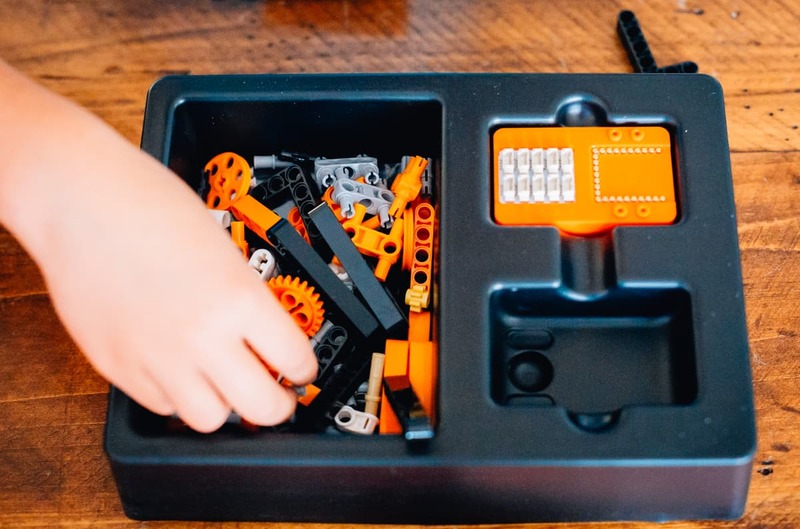 But Itty Bitty Buggy is also compatible with LEGO pieces, so the opportunities to build whatever creation your child can imagine are endless! 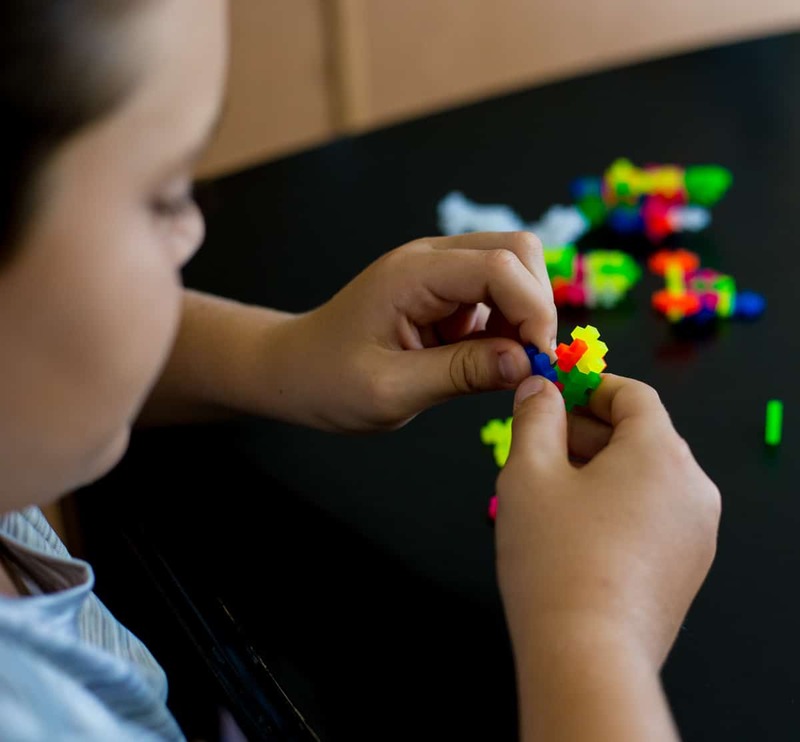 Not only can your child build creatures and structures, but they also can control them using coding. 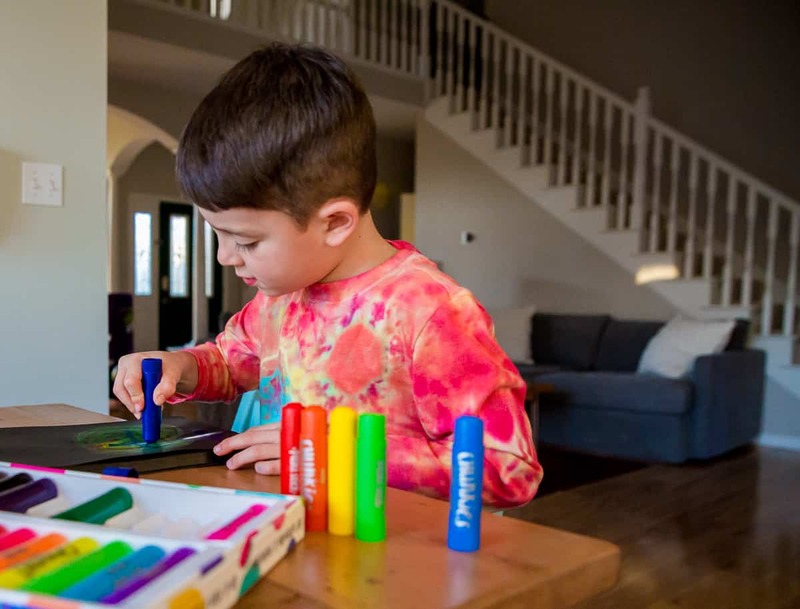 They can make them follow a path, listen to voice commands, or use color recognition to complete certain tasks (and play music!). All of this is controlled over Bluetooth with any Android or Apple compatible device and code can be designed using Scratch, Arduino, and Python programs. 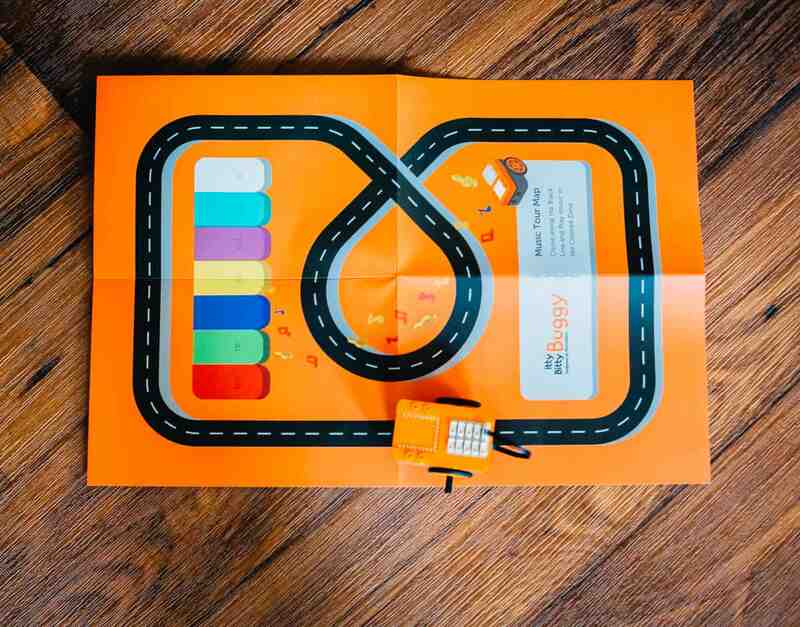 Itty Bitty Buggy has countless configurations and will be a ton of fun for kids and parents alike this holiday season! Who says the holidays can't be all fun and games? Especially when those fun and games are also educational. 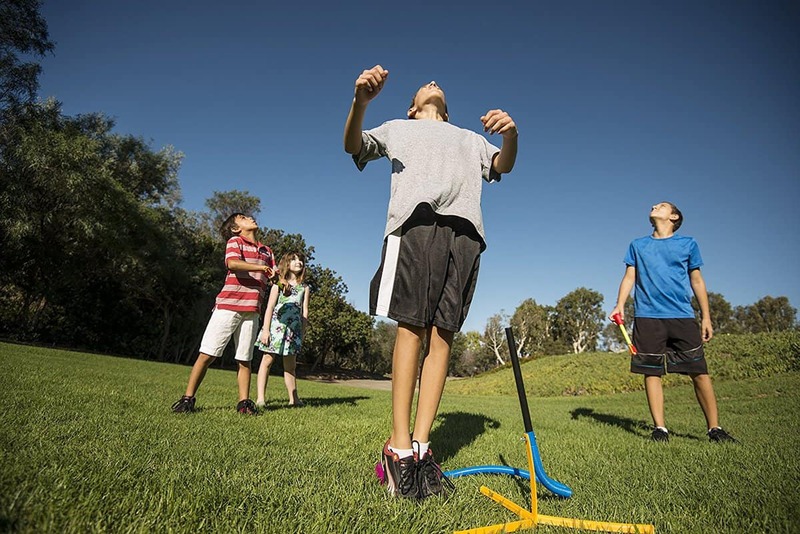 Stomp Rocket teaches kids about STEM principles such as gravity, motion, and force. While these ideas may seem lofty for the average child, the more you expose your child to the world of science at a young age the more information they retain as adults. 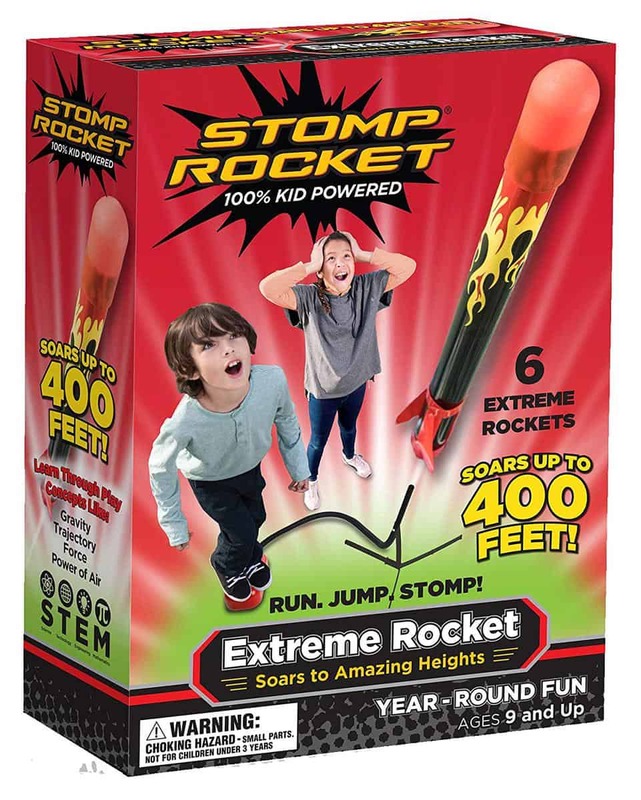 Stomp Rocket is an award-winning line of kid-powered rockets and playsets. They make the perfect gift for kids ages 3 and up. Parents and grandparents will love the hours of fun after unwrapping the high-flying outdoor fun just as much as the kids. 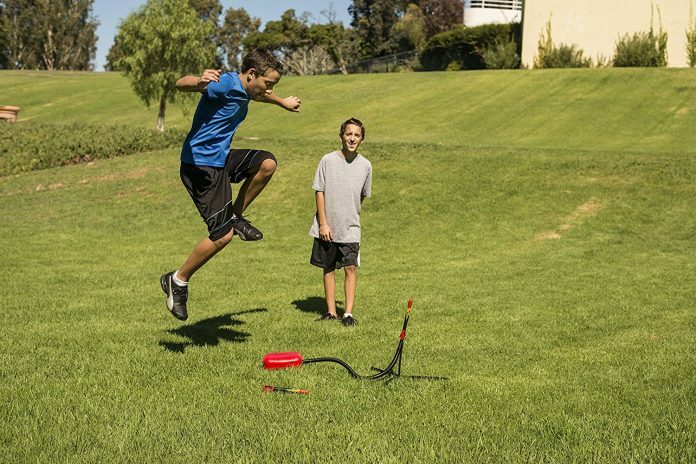 The Stomp Rocket Extreme can sore up to 400 feet in the air. It will dazzle your high flying kids. Try the Stomp Rocket Ultra LED with a foam-tipped rocket that has LED lights inside and flies up to 150 feet in the air. Stomp Rockets will take your holiday to a whole new level. STEM is the way of the future. More and more schools are enacting a STEM-based curriculum, leaving science loving mamas like myself jumping for joy. 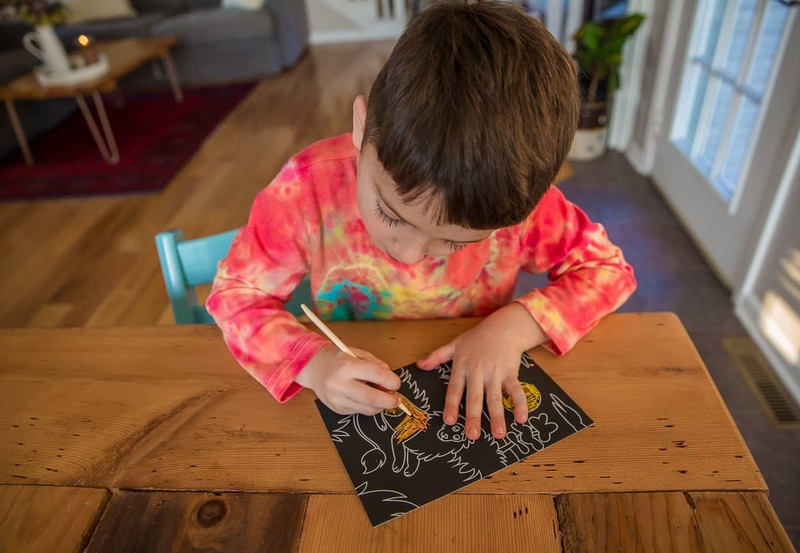 Science is fun and engaging, but to some, the idea of exposing their child the world of experimenting, microbes, and elements seems daunting. That is why fun learning toys like Beaker Creatures Liquid Reactors Super Lab needs to be on your Christmas list this year; created for science nerds and the science-not-so-nerds alike. Research tells us that the earlier kids are exposed to science learning the more likely they are to keep it up. Making the experience fun is the icing on the cake of lifelong learning. 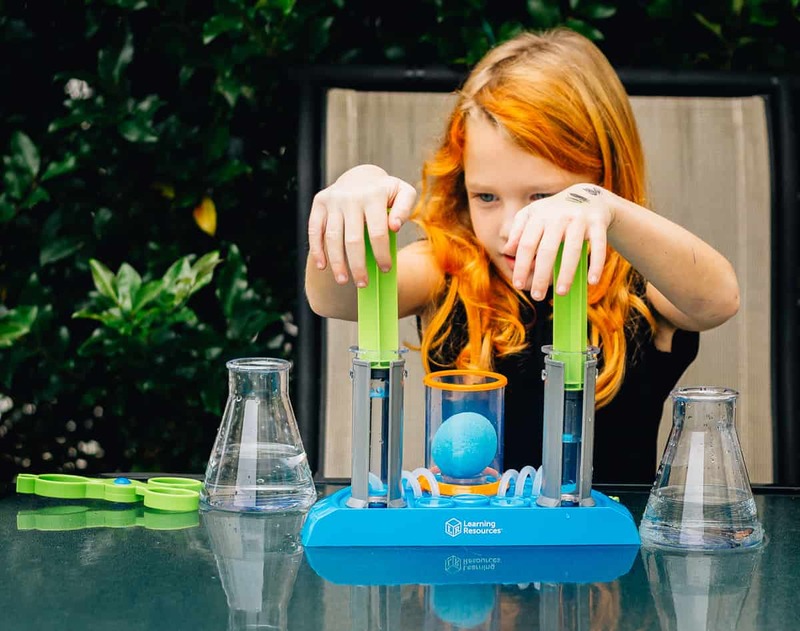 Beaker Creatures teaches kids chemistry by creating a colorful bubble reaction. They use hydro-plungers to fill the reaction chamber forming a bubbly reaction that leaves an outer space Beaker Creature behind. The lab comes with beakers, flasks, plungers, and more. Including a full-size poster, classification cards, and a quiz filled with real-world science facts, inspire the love of learning this Christmas with Beaker Creatures. Perfect for playtime on a chilly winter day or ideal for sticking in your diaper bag or backpack to take along for entertainment at dinner, the Plus Plus building sets are a must-have stocking stuffer this holiday season. 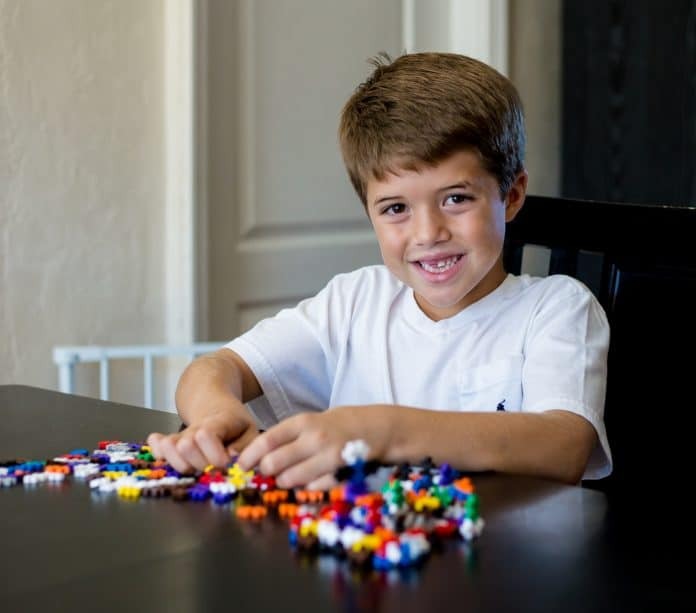 These educational manipulatives come in a variety of sizes and colors allowing your child imagination to run wild. 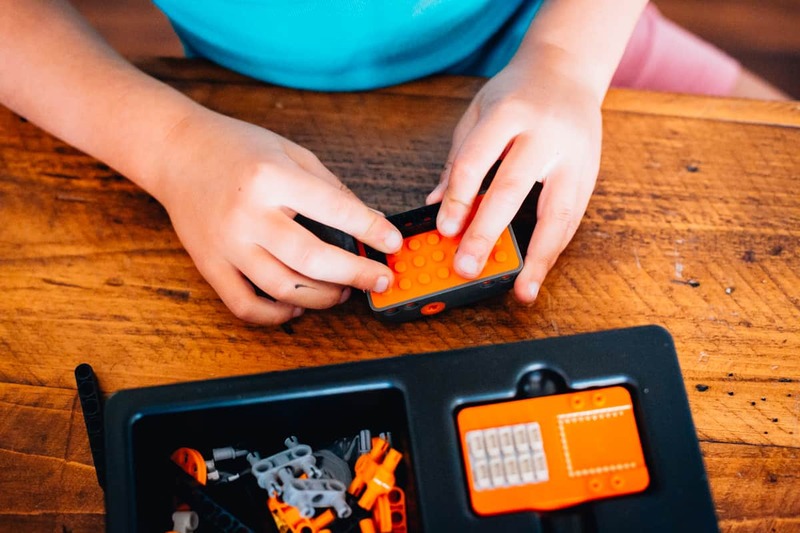 With an interlocking design, your child can build robots, buildings, or anything their heart desires with these 3-D building sets. 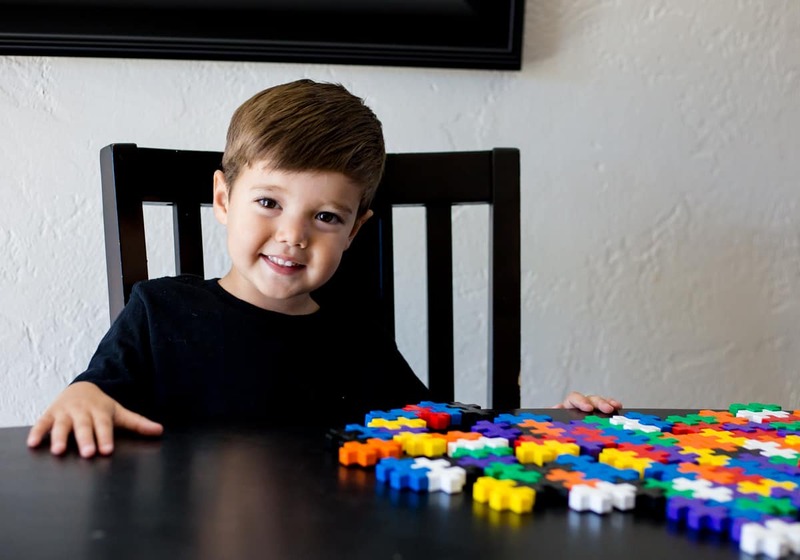 Unlike Legos or wooden building blocks these heavy duty manipulatives are both durable and flexible at the same allowing even your littlest builders to craft without frustrations. Further with the intuitive interlocking design, their creations will stay together and maintain shape until taking apart to create something new. Guaranteed to please the Plus Plus building sets will keep your child happily entertained for hours. The best part of gift giving is watching our friends, families, and loved ones gleam with excitement as they open their presents. 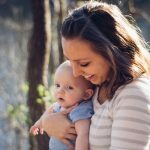 Giving your child something that they can continually use and learn from is one of the best gifts a parent or loved one can give. 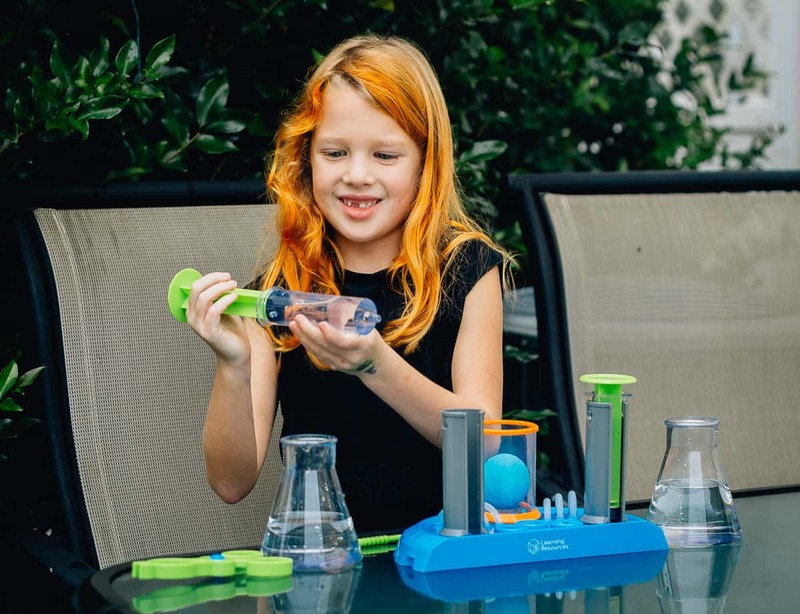 These educational Gifts for kids will help you get the best gifts for your little scientist in the making this holiday season.